The customs and rituals of Vishu may vary in different states but usually in Kerala, people exchange greetings, go to temples and apply traditional chandanam or sandal paste on their forehead. Vishu (meaning "equal" in Sanskrit) is one of the important festivals in India. It is observed as the beginning of the month Medam according to Malayalam calendar. This year, Vishu falls on Monday, April 15, however, it was also celebrated on April 14 in some part of the country. This festival is celebrated in different parts of India where Assamese people celebrate it as Bihu, in Punjab, it's called Baisakhi, Puthendu in Tamil Nadu and as Vishu Sankranti in Orissa. The customs and rituals may vary in different states but usually in Kerala, people exchange greetings, go to temples and apply traditional chandanam or sandal paste on their forehead. It is said that people should keep Vishukkani (also pronounced as VishuKani) in the puja room on the dawn of this auspicious day as the first sight for a peaceful and prosperous year ahead. VishuKani is basically a collection of various things like Holy books like Ramayanam or Bhagavatgita, fruits, vegetables, flowers, grain, coconut, gold, lamps, mirror. 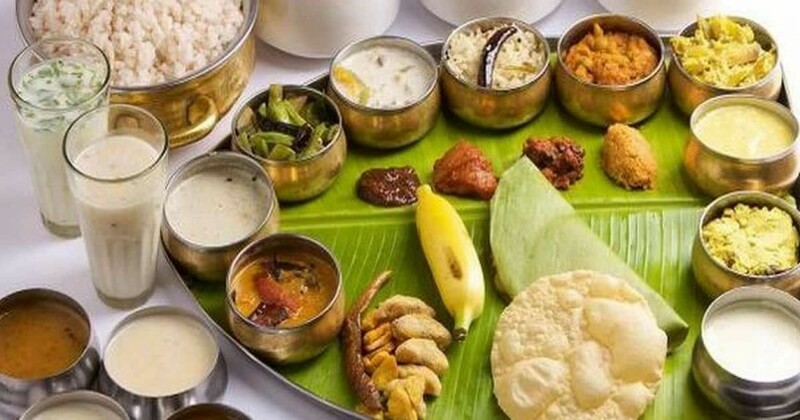 In Grand Sadya (feast), which is considered as the most important tradition of Vishu, people are served with a sumptuous lunch as they do during Onam festival. Additionally, people prepare special dishes like Vishu Kanji (made of rice, spices and coconut milk) and Vishu Katta (made from freshly harvested rice powder, coconut milk and jaggery) on the festival. In the evening people celebrate Vishu by bursting firecrackers. According to tradition, elders give Vishu Kaineetam (giving money) to younger ones in the family as a symbolic representation of wealth and sharing. Buying new clothes is also part of the tradition. On the occasion of Vishu, we have curated some wishes and messages to share with your friends, families, and well-wishers. May Lord Krishna bring peace to your home and heart now and always. Happy Vishu. From Vishukkani to Vishu Sadya, may you be able to enjoy the special moments of the festival with your family. Happy Vishu. May you be able to handle the ups and downs that you come across in life. Happy Vishu 2019. Wishing you a blissful, bright, delightful, energetic, healthy, great, prosperous and extremely happy Vishu. Another Vishu is here, Let's banish our worries and start afresh. Wishing you happiness all through, May God take away all your stress. Happy Vishu! Vishu stands for new and fresh Life is always new and fresh Let us strive to make all days Vishu. I hope this Vishu will bring cheer, prosperity and peace in your life. Let us pray that we gain enough strength to accept the highs and lows of life with equanimity. Let's welcome Vishu with new hope at heart and with great enthusiasm, anticipation and eagerness. Hope you get blessed with unending happiness and love of your close ones. Wish you a brilliant Vishu 2019!.